Well, I just got into the most isolated country in the world without a hitch and I’ll be coming out with a lot of stories. There’s a lot of material to go over in terms of what I’ve seen in the last 4 days. 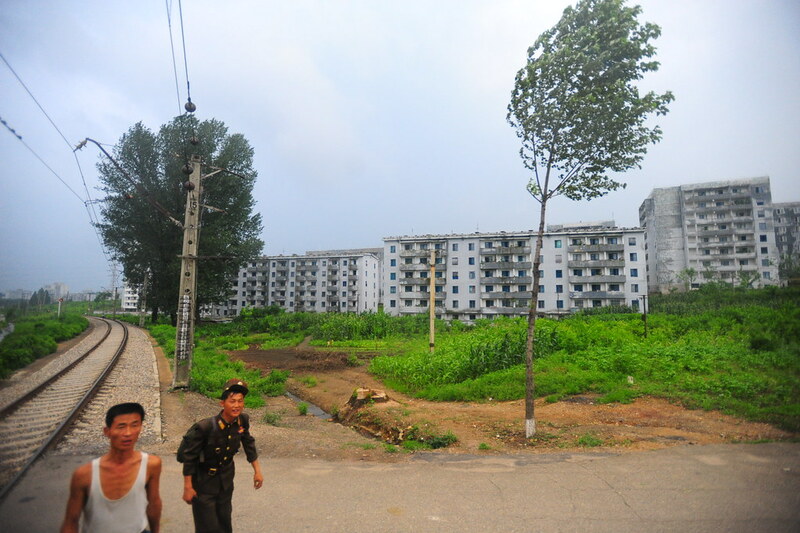 I’ll post about 9-10 entries about North Korea, with each one about topics such how I got in, touring Pyongyang City, the Metro, the Arirang Mass Games, Kaesong, the DMZ, the character of the people, evidence of propaganda (this one will be pretty trippy), and other topics that require more focus than a general “overview” entry. 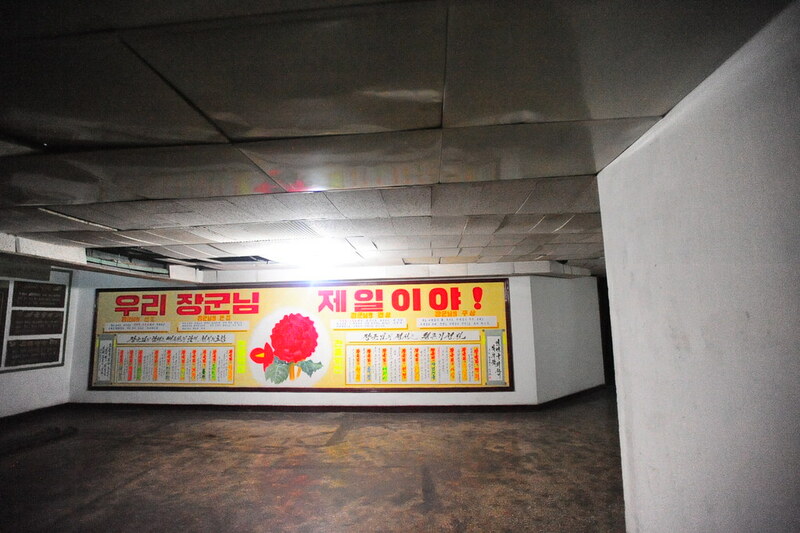 The infamous, hidden 5th floor of the Yanggakdo Hotel: One of the creepiest moments on my trip; I'll write about this in my last entry on North Korea. ..So I got inside North Korea. As an American. Without bribing anyone. anyone would ask. I’ll answer with the rhetorical: Why not? Before I begin, I want to stress that I usually don’t bother with guided tours as I always prefer the DIY approach as a more organic way of traveling and learning from your mistakes. But there’s really no other way to get inside North Korea legally, so I went for YPT as the primary vehicle that would get me inside. They also offerred me a deal I could not pass up. The reason being not only that YPT is the budget option, it also caters to younger travelers and it was personally recommended by a fellow traveler I had met in Bangladesh. And after 4-5 sdays with them I can say YPT consistently establishes such a solid rapport with our North Korean tour guides that we were allowed to take pictures of (almost) anything and there were more than a few times where we were allowed to wander on our own (no other tour agency would allow this!). But above all else I would get to know an amazing group of like-minded travelers whom I now look forward to backpacking with in the future. So think of the following entries on North Korea as a testament to the uniqueness of the tour you’ll be getting with YPT. I owe a lot to them, even though they owe me a large amount of sleep that I sacrificed on this tour. 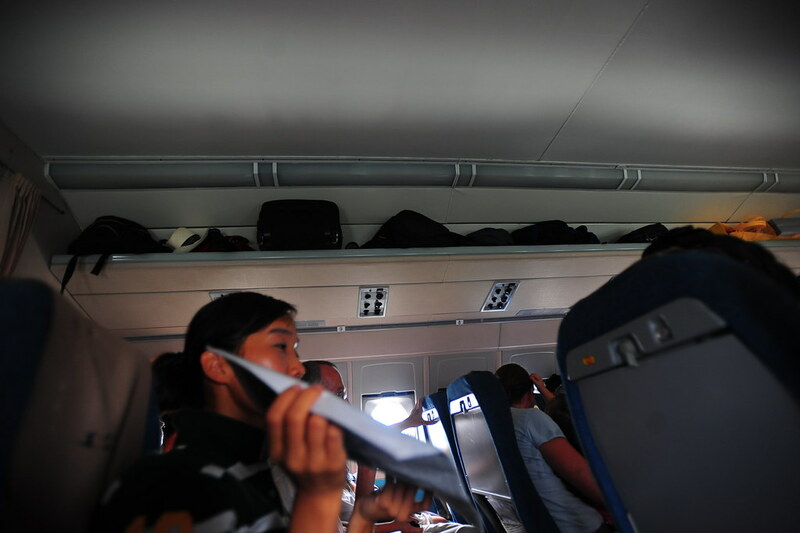 Let’s just say that the flight from Beijing to Pyongyang wasn’t a castle in the sky. It was a retro 1970s style, Russian-made (probably formerly a bomber jet) double twin-engine jet that was having a severe identity crisis. The seats seemed to be oddly placed, and the galley in between sections for serving food rang like a 1950s telephone (rrrrring!) whenever someone needed assistance from a flight attendant. 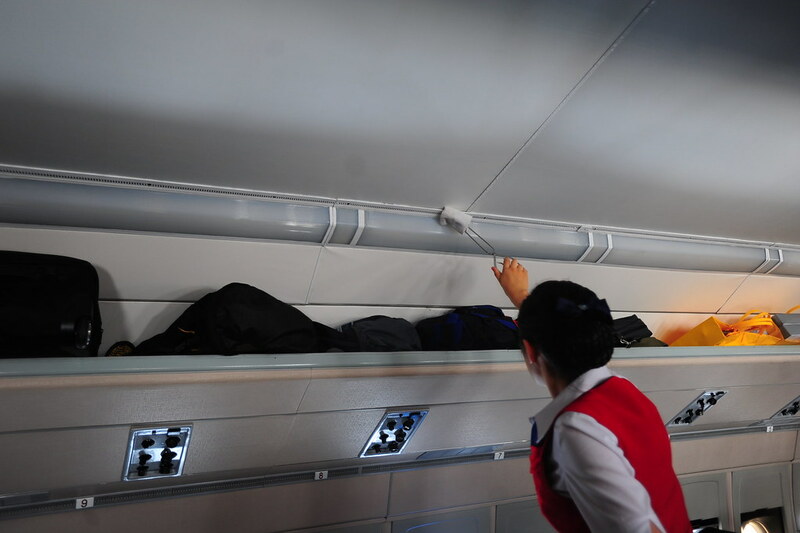 But the most hilarious part was that it was raining inside as the plane took off; so much moisture had built up as condensation from weak air conditioning (it could not match up to the overbearing 30 degrees Celsius inside the plane!) that when the plane started to move, we all got drenched. This plane reminded me of the 16 hour bus I took from Udaipur to Mumbai last year, where water from a badly designed air-con was dripping all over my face as I was sleeping. 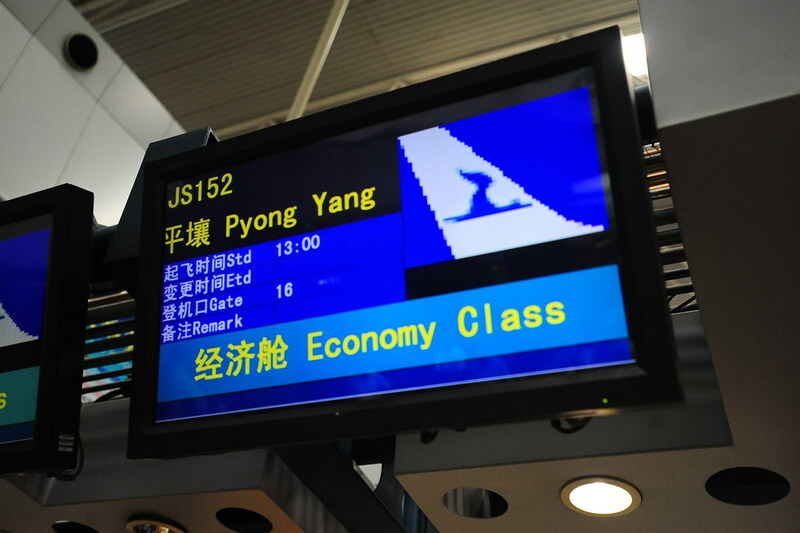 After 110 minutes in the air, we landed at Pyongyang’s Sunan International Airport. Because we were traveling as foreigners, all of our tourist visas were on a single sheet of paper instead of separate, individual documents. Although that meant we got through the passport control lines pretty easily, it was nerve-racking to trust all of our hard-earned visas to a complete stranger. Otherwise, we were through passport control within 10 minutes of landing. 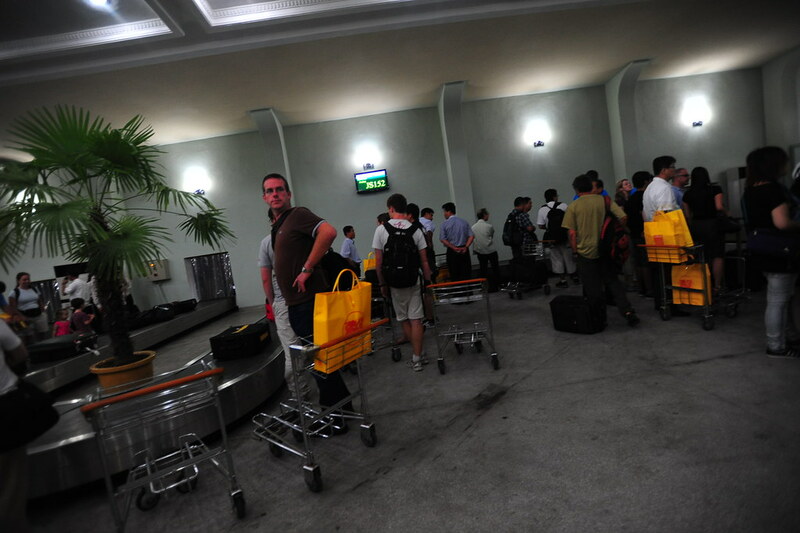 After a dreadfully long and boring customs check, we waited…and waited…and waited for our North Korean guides to find us. Nothing happened. Then I worked up a courage to scream: “YPT!” at a busy crowd. Immediately 5 well-dressed North Koreans immediately came to shake our hands and introduce themselves. These would be the folks that would be watching our every move for the next 4 days. Some of them were former Army officers, others were sons and daughters of well-established families (i.e. diplomats and businessmen), and 2 of them (I would find out later) were spies for the DPRK. But more on that later (discussed in my last entry on North Korea). 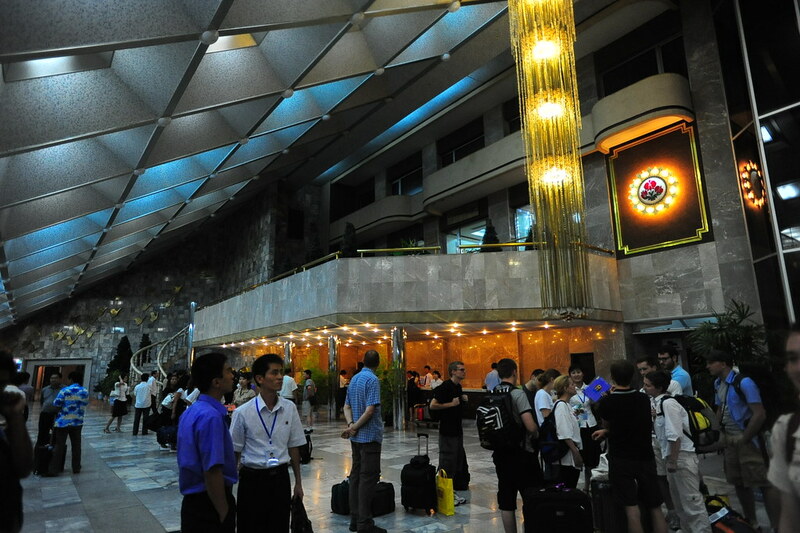 And with introductions aside, we were on our way to Pyongyang (a 25 minute drive away from the airport) and the Yanggado International Hotel. The Yanggakdo International Hotel is named for Yanggakdo meaning “hull of a ship.” That’s because the Yanggakdo is on a small island which many North Koreans find to be shaped like a battleship. 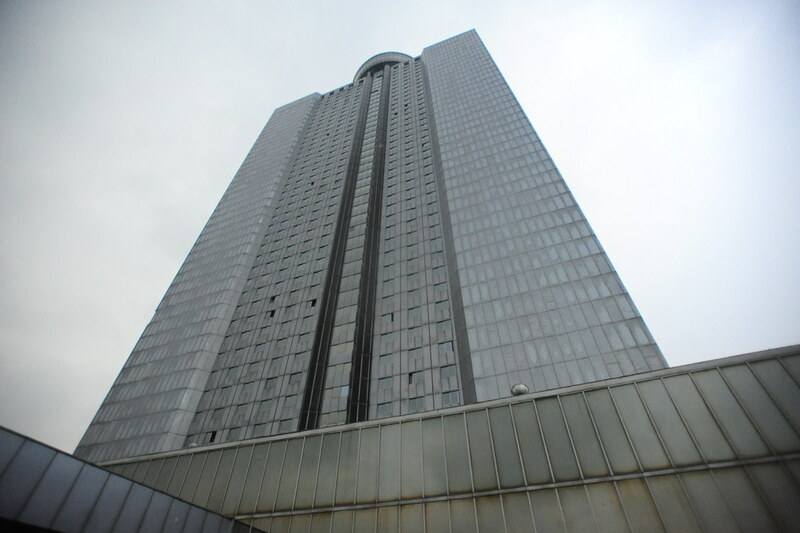 It has 47 floors (with a revolving restaurant at the top) and over 1,000 rooms. It comes complete with a microbrewery, karaoke bar, swimming pool, 24 hour casino, 3 restaurants, a spa, and the best part — a total lack of care if you throw a party at 4 am in the morning with your doors open (which we would find to our delight 3 nights in a row). That’s because the rate of tourism is so restricted at less than 1,500 non-Chinese tourists a year, at any given time only 6-7% of the hotel is occupied; most floors had their lights out and were just plain abandoned. Wait, reality check for a second: We’re finally in North Korea. 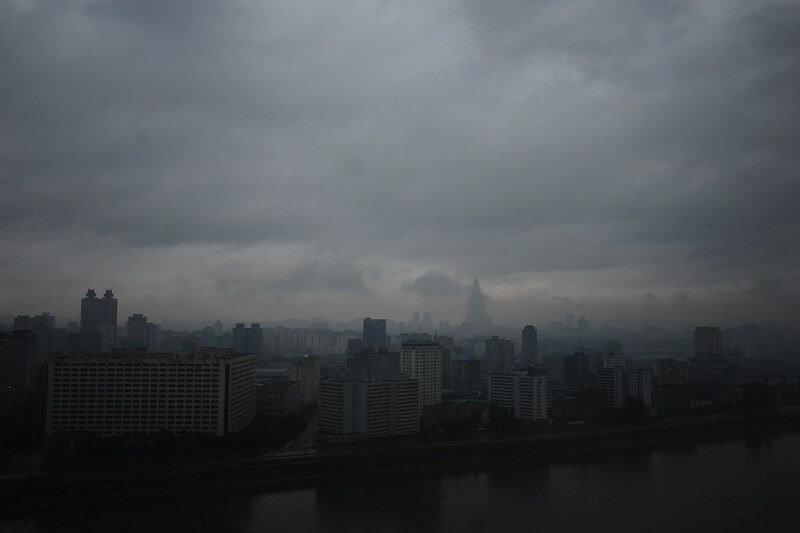 A view of Pyongyang from my room. Hi, good article look forward to the rest. 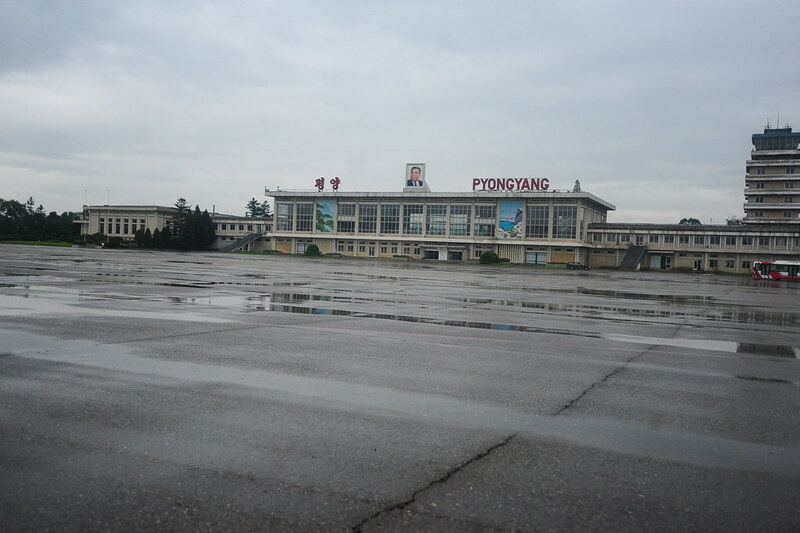 A couple of mistakes, Cheapest tour into North Korea is with DDCTS based in Dandong. I went with these guys in May 2013, 4 days /3 nights from Dandong for 630 EURO, I was only westerner on trip rest Chinese [which was good !!] 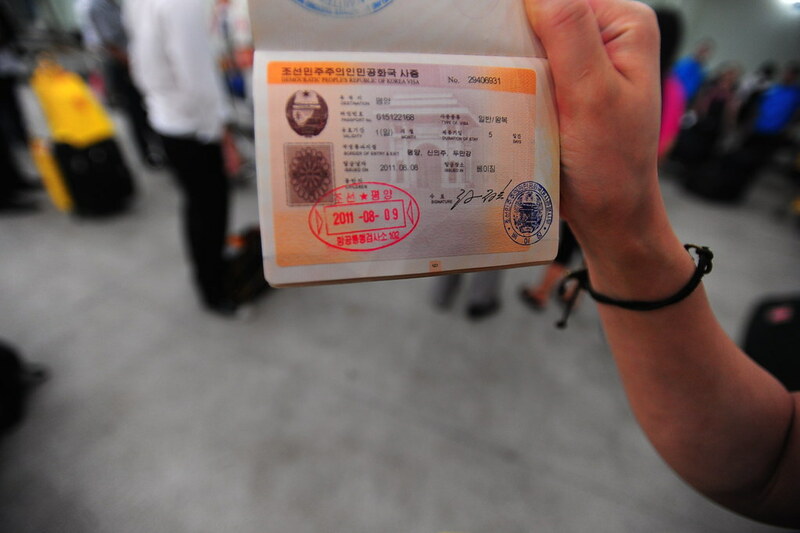 I got a North Korean Visa in My Australian passport and as the young chinese guy in the group said “how cool is that”. Anyone going be careful taking photos on the train. Next time I’ll fly. HEY Y.P.T any “senior” dicount ?? Great pictures! I never really had the urge for North Korea but I’ve been to almost every country surrounding it. I did start working for a great organization that brings people there and most customers said it was the best experience of their lives. So I’ll have to visit. Two of the people in the group go every year and claim it’s an amazing experience. I’ll have to share this post on howtogotonorthkorea.com. It’s been quite the experience just learning about everyone else’s time in the country. Boy that last picture pretty much says it all. Dark, gloomy and with no lightness in sight. While i’m curious about seeing North Korea first hand, i just can’t reconcile the fact that my money would go to prop up their nuclear weapons program and the repressive security apparatus. You can’t even help the average North Korean since your not allowed to even interact with them. And there’s also the fact that you know your visiting a country where just as recently as 15 years ago millions of people starved to death because of the deliberate policies of the govt. I think i’ll wait it out and see if one day freedom reaches that forgotten nation. I would really like to go to North Korea just to witness the uniqueness of the place. 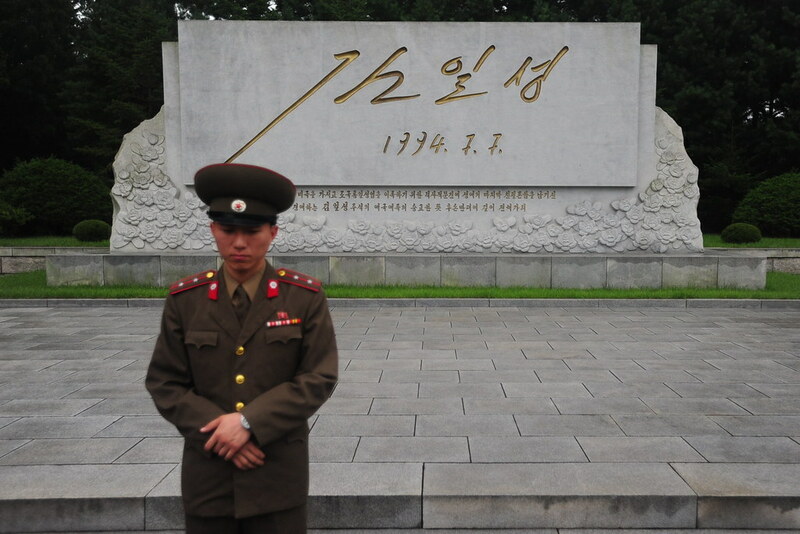 However, I would not bow to a statue or any other demi-god thing of Kim Il Sung or Kim Il Jong. Plus, I saw that other tour companies charge you apx. 10 Euros for a bouquet of flowers for a tribute. I would opt out on that one. I certinally would not say anything negative of those two but I wouldn’t bend over backwards for them. 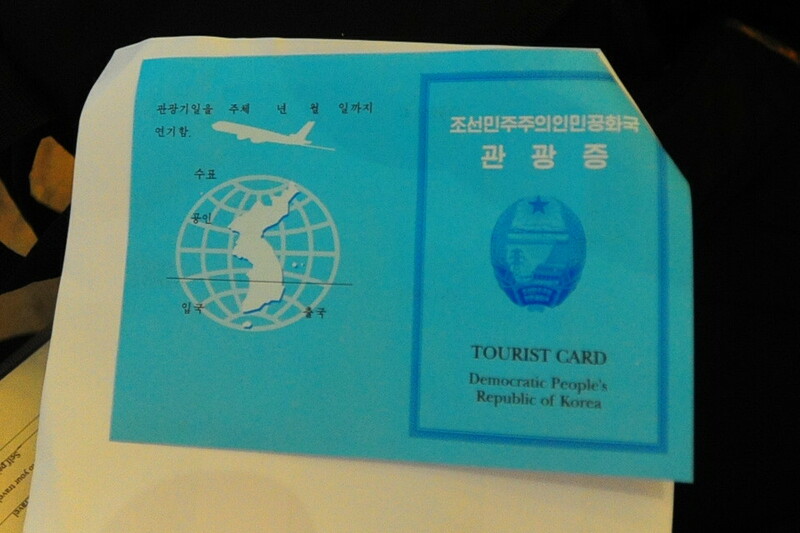 What makes me sad is that from what I get from your post is that you don’t get an individual DPRK visa in your passport. That is what I would want most. (as a souvenir.) I think I would get the Heebie jeebies on Air Kyoro. 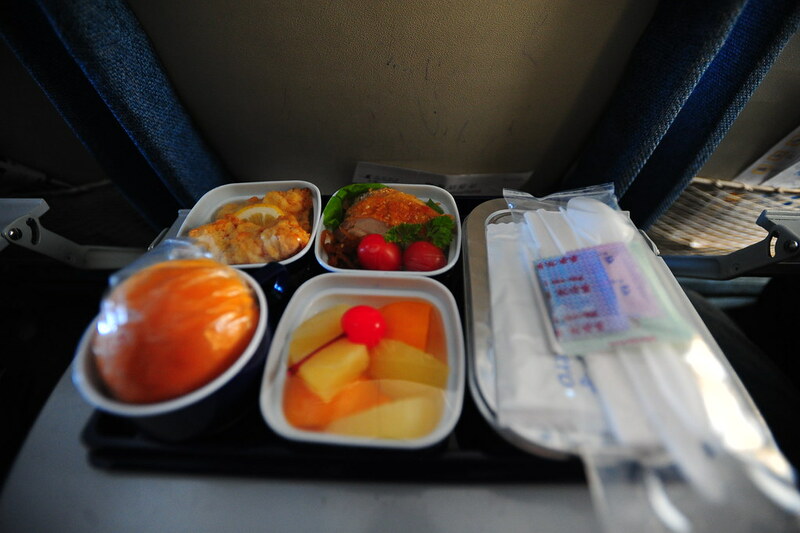 The same experience happened to me in 1994 when I was on a domestic Chinese airline flying from Beijing to Xian. It was an old Russian made plane. All the signs were in Russian and Chinese. Creepy. Such a great blog and one of a kind adventure. Thanks for sharing! Looking forward to more use of the word “trippy”, sadly it’s fallen in to misuse. Nice to hear that you had a good trip. I am surprised how busy hotel looks, but its summer. It does looks disgustingly as dirty from the outside as usual. My impressions of DPRK after a week reminded me of an old Soviet Union stuck between 1960-1980 depending on where you are at the time. Although I found it worst on many levels. Oh and such an American thing to say that the plane “probably formerly a bomber jet” LOL! Yeah, those damn Russkis, had to use all of their birds to protect themselves from (quoting a video played on Pablo spy ship in Pyongyang) “American imperialist aggressors” 🙂 Btw, I took a flight back, and my plane was similar to the one you show on the outside, although better looking then this one on the inside. 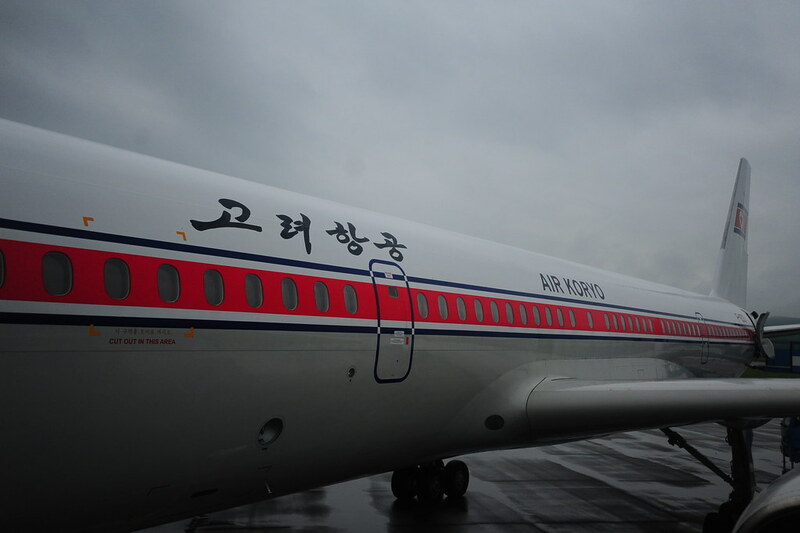 It was actually Tupolev 204-100B which according to http://www.planespotters.net was delivered to Air Koryo April 2010. And when the airport securities saw I had an American passport, they immediately became more stringent on what I could and could not bring in/out at customs. They know how Americans have this incredible fascination with North Korea and that given their recent detainment Lisa Ling and Euna Lee, 2 Asian American journalists, they’re more paranoid of Americans trying “expose” their country and thus more cautious in questioning whether or not we have “recording materials” to report back with when we return to the USA. 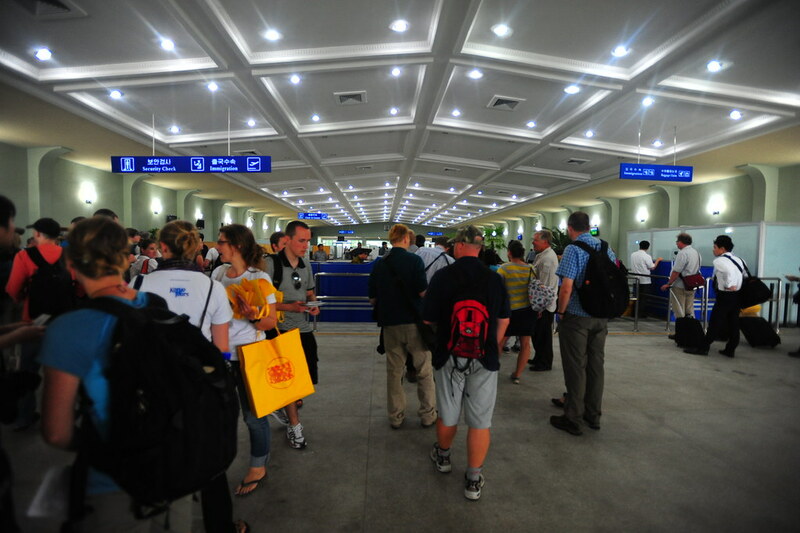 As for the number of tourists, we came in at the beginning of August, when only 6% of the hotel was occupied; the huge influx of Chinese tourists (as you mentioned) is a recent development in North Korean tourism. Hope this clears things up. 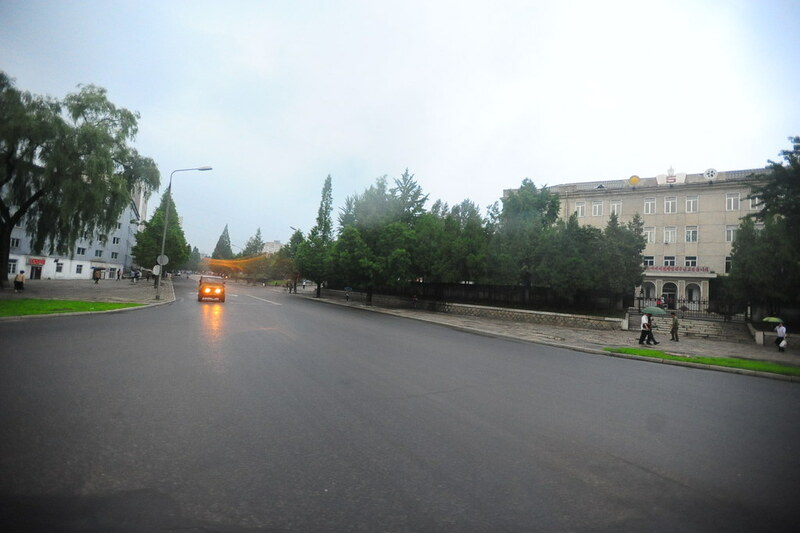 I was also in North Korea at the end of August. On the other hand I had also an IPod touch and the guys at the costumes had no questions about it. They directly knew that it wasn’t a phone. 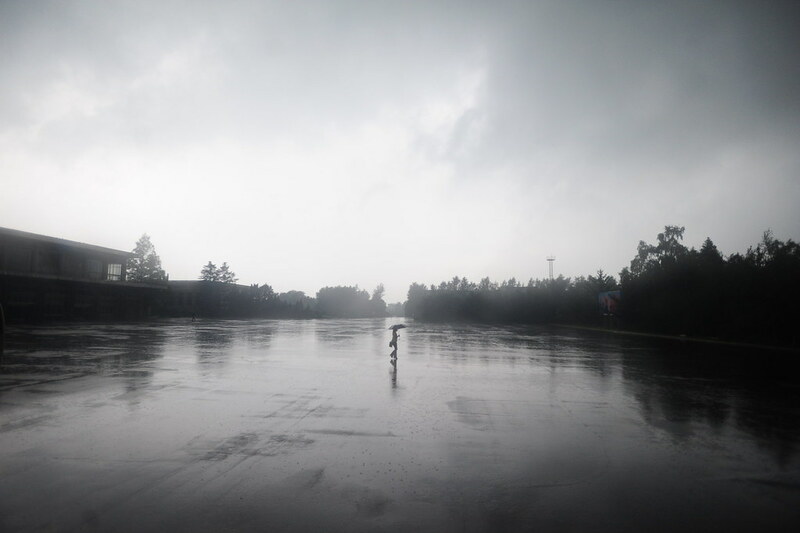 The grayness of these phots give off such a eery feeling. I feel like I walked into a living, breathing version of 1984. Looking forward to the rest of your entries!